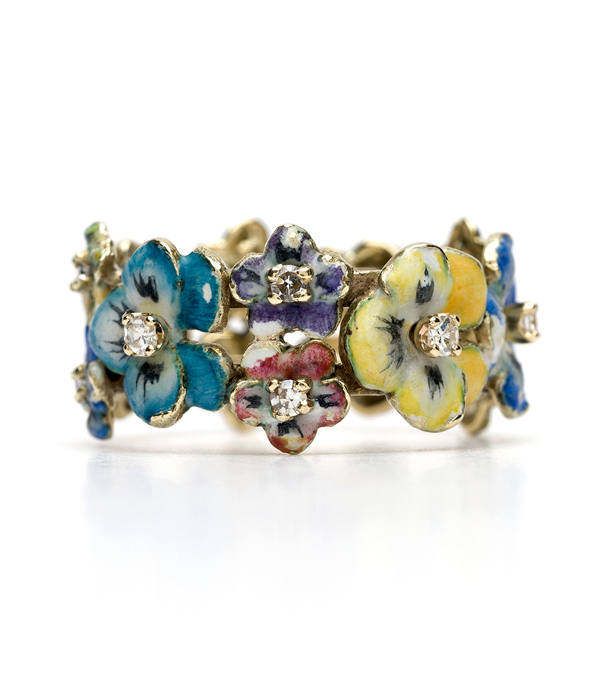 This ring speaks in the language of flowers like no other. 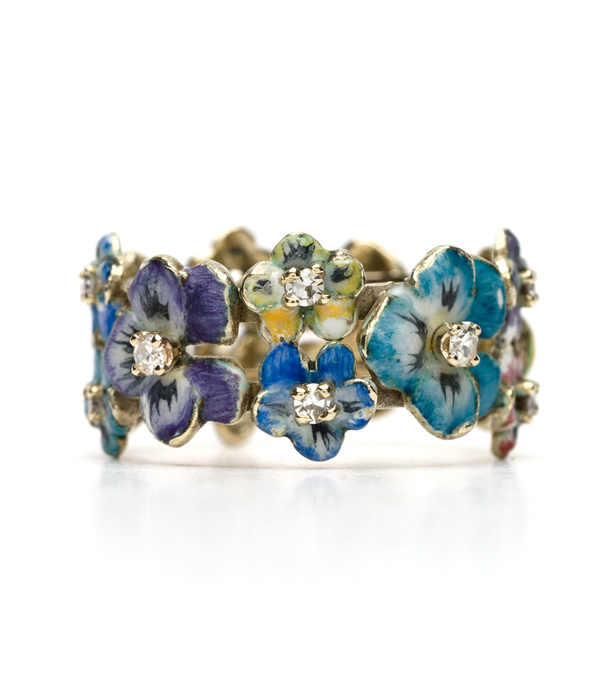 An extraordinary design and gift that says you are forever in my thoughts. 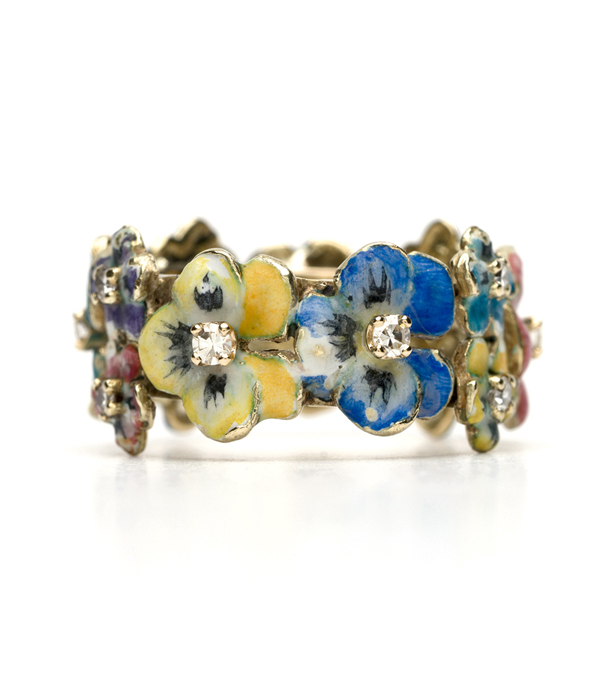 We were stunned to find this original vintage enamel pansy ring with diamond accents. 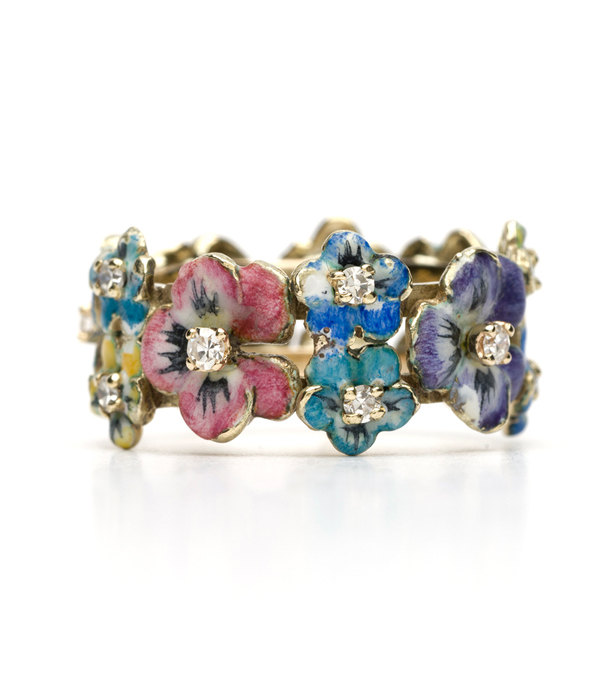 Muti-colored enamel pansies encircle this charming ring and add a colorful touch to any wardrobe. An absolute delight! Categories: Sofia's Favorites, Vintage Archive.